""I always liked talking about architecture as entertainment, if is not done cheerfully is not architecture. The thrill of the architecture makes you smile, laugh. Life no."" 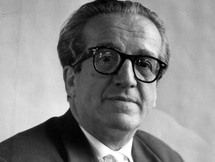 Alejandro de la Sota Martínez (October 20, 1913 - 14 February 1996) was a Spanish architect. He was born in Pontevedra in Galicia. 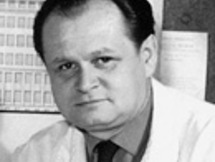 He graduated from the university in Madrid in 1941 and, from 1956 to 1972 he was a professor there. After graduation, Sota continued to live in Madrid, although he maintained links with his native Galicia. He was a promoter of the industrialisation of construction in the 1960s. 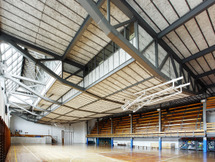 His Maravillas gymnasium of 1961 was the first steel-framed building in Madrid. Dora's buildings combine geometric rigor with constructive sincerity and a structural boldness of form that still surprises today. Sota is regarded as one of the great masters of Spanish 20th century architecture. He was appointed as architect at the National Colonization Institute, Directorate-General of the Postal Service, Aviaco and Iberia. He was a Senior Lecturer for 16 years at the Madrid School of Architecture, and gave addresses and classes at many architecture schools in Spain and abroad, most notably in Architectural Association London, Technische Universität München and Harvard University. He received the National Prize of Architecture and the Gold Medal of the Council of Architects.